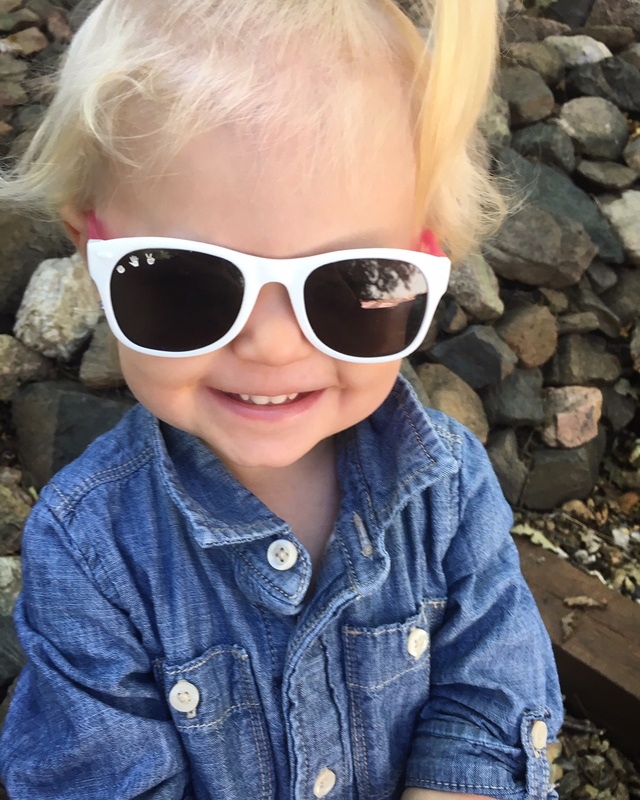 RoShamBo Baby – Baby Sunglasses: In sunny Arizona sunglasses are needed year round by all people; adults and kids! 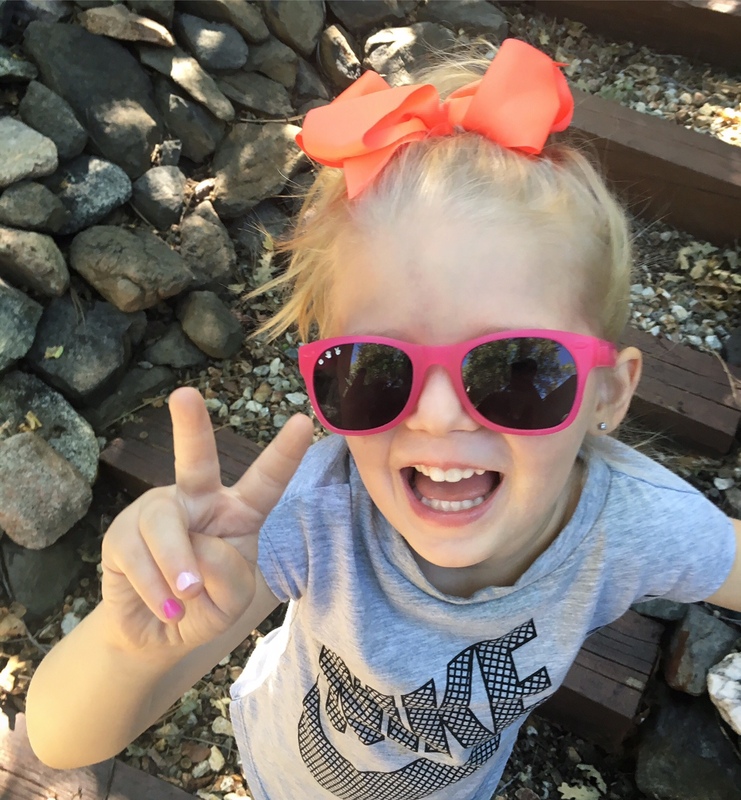 But have you ever tried to keep a pair of sunglasses on your kids face? Impossible. Or better yet, have you noticed how easy it is for kids to break their sunglasses? Talk about tough! 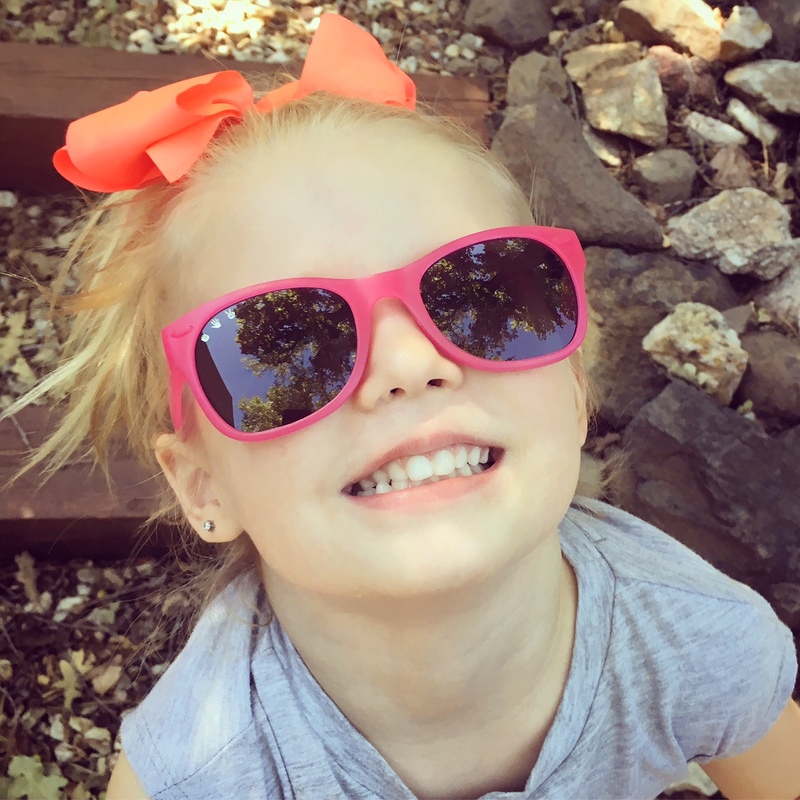 My girls are busy bodies and keeping sunglasses on their little faces or finding sunglasses that fit are hard to find…until now! Let me introduce you to RoShamBo Baby. 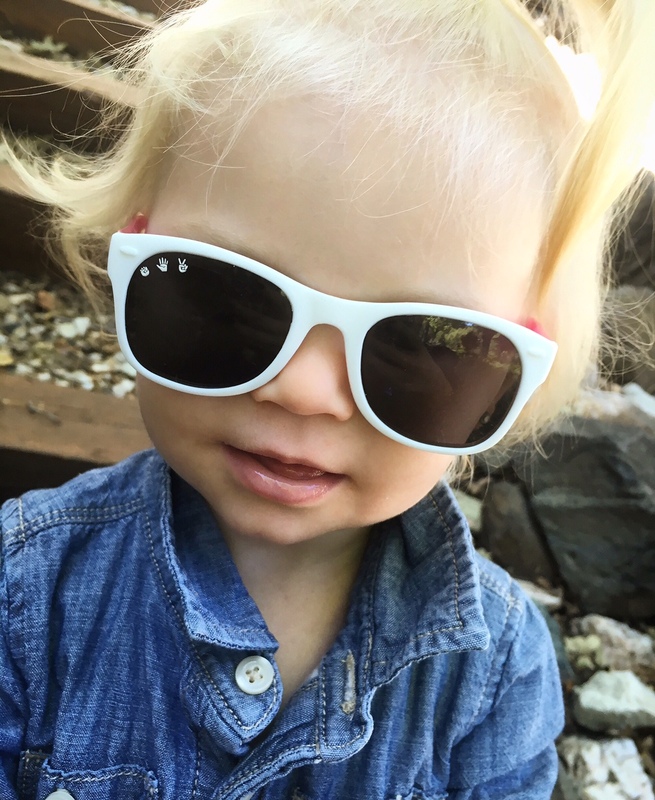 RoShamBo Baby makes high quality, stylish sunglasses for babies, juniors and adults, all while giving back. All purchases support Surfers Healing, a non-profit that provides a surfing experience for autistic kids and their families to provide fun, confidence, and safe stimulation. 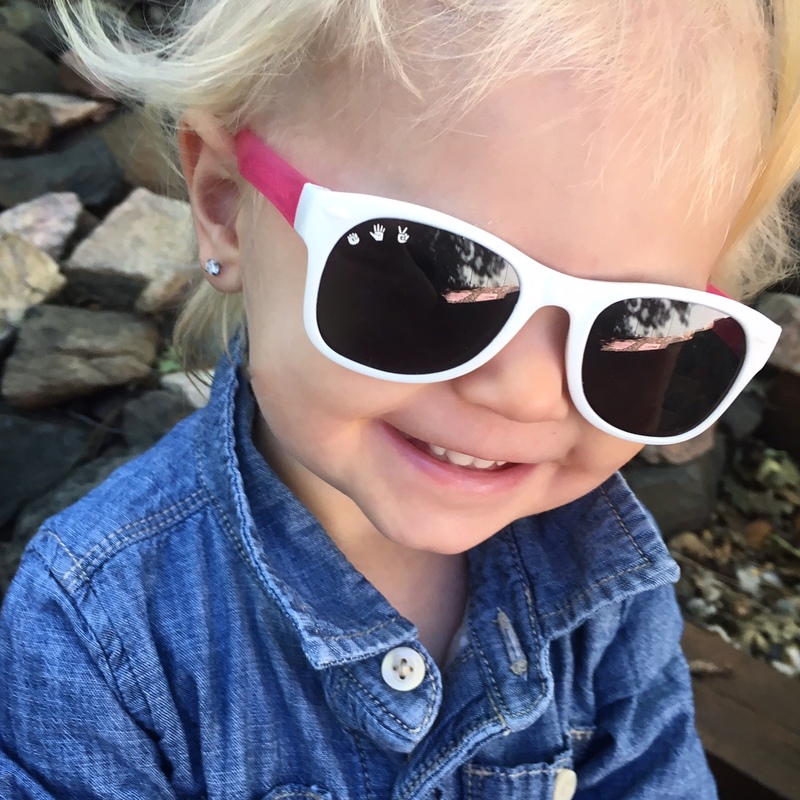 These adorable glasses are not only stylish but they are bendable, twistable, chewable, and unbreakable! Both of my girls love their pink shades and happily keep them on, and I love that I can also match them in the adult shades. These shades are Italian made, prescription friendly, shatter-resistant and block 100% uva/b/c rays; RoShamBo Baby has you covered. I love how they have even taken the extra precaution to mold their logo into each pair of sunglasses to avoid unnecessary and potentially ingestable paint… talk about child friendly! Not to mention, the plethora of color options are amazing! I promise you will fall in love with all of the colors! I love this product and what this company stands for… and so will you! Branded Bills – Custom Snapback Hats: Hats are the best, but finding a hat you love can be hard to do. Let me introduce you to Branded Bills. Branded Bills creates custom, hand-crafted snapback hats with a unique leather patch bracing the front. This company started with a utility knife, a piece of leather, and a hand-made branding iron that was used to create their first prototype, and the’ve grown exponentially in popularity since! The most unique feature of Branded Bills is the leather brands on the front. 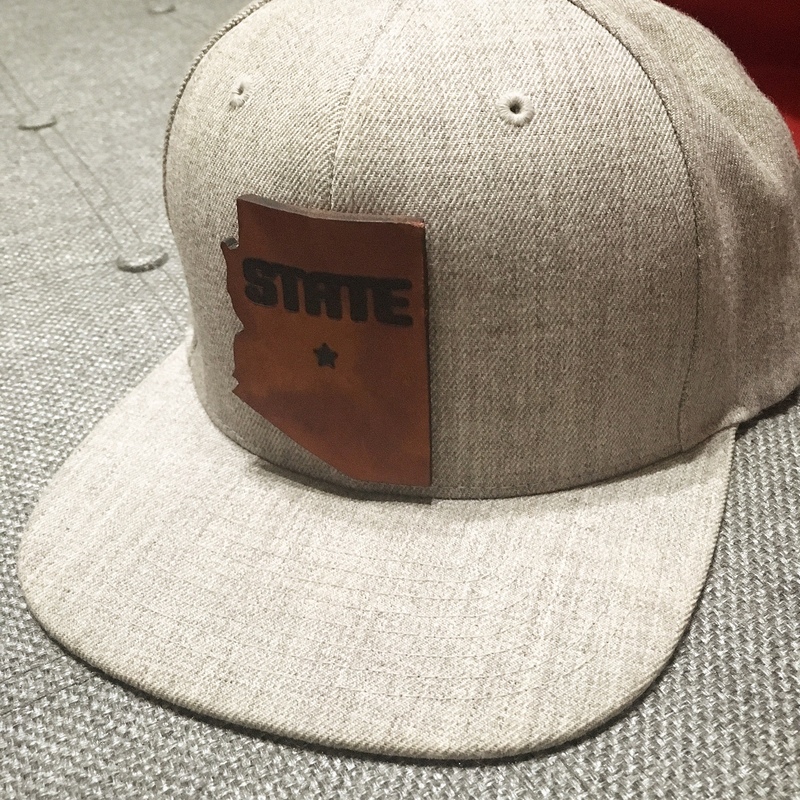 Branded Bills uses genuine USA leather for all their patches and the hats are constructed by hand, right here in Scottsdale, AZ. If you have a favorite team… they’ve got you covered. If you want to represent your hometown… they’ve got you covered. Have your own business with your own logo… they’ve got you covered there too! I love how versatile the hats are, my husband can wear them with his athletic casual look, or he can throw it on with a dressier outfit. I also love that I can sport his hat because of the snapback adjustable sizing option…Win-Win! Like I said, these hats are hand-made and incredibly well crafted and durable, and they offer so many customizable options when ordering: What leather brand do you want? What color hat do you want? Netback or classic? So many options, and so much goodness that you’ll have a a hard time picking just one! If you want to be noticed, this is the hat to wear. My husband regularly sports his Arizona Branded Bills – The ASU State and The 48! 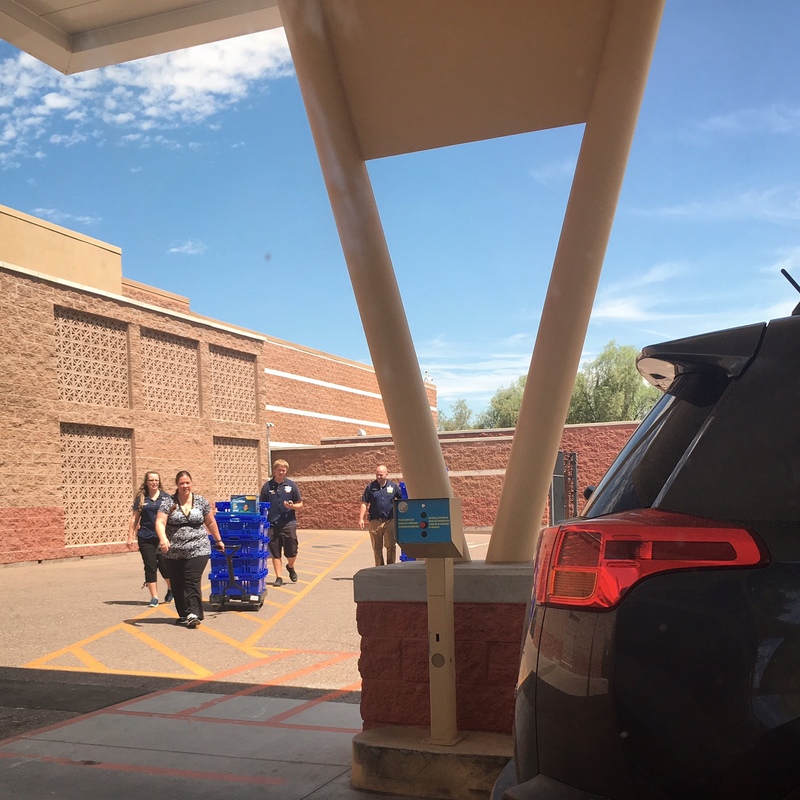 Walmart- Grocery Pickup: As you probably know and understand, life is BUSY! Do you ever feel like there is not enough hours in the day to get all of your errands done? I feel this way often. 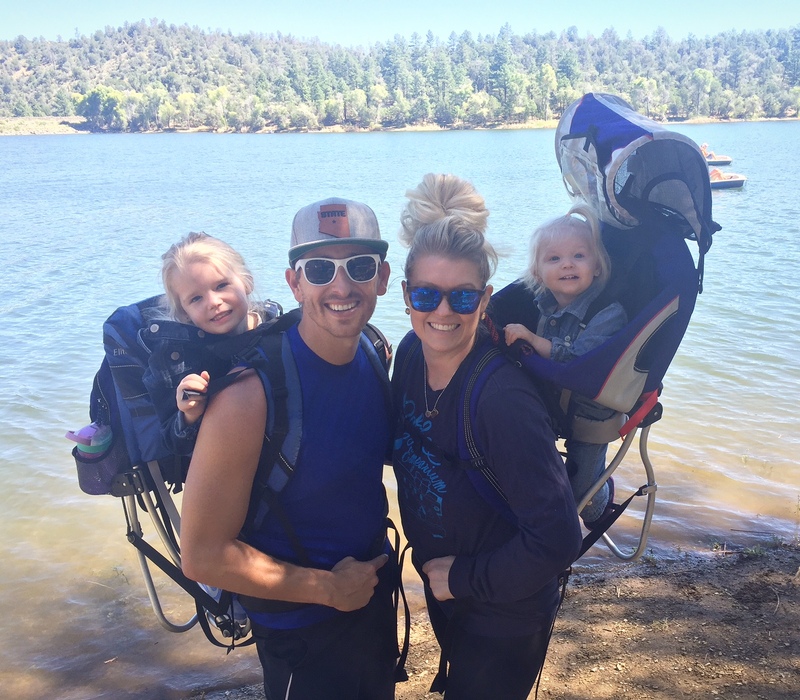 Even when I can fit everything in, I am doing so with two little ones in tow which is a chore in itself. Well thank you Walmart for recognizing a need and creating a solution for all of us! Walmart has created an amazing new opportunity by being able to shop the store online and then pick up your pre-ordered items… did I mention it is FREE??!! Dream come true! I tried it out for the first time and let me tell you, it was amazing! Let me explain how it works… You go online and can literally shop all that your nearby Walmart has to offer by putting it in your online cart. It took me about 20 minutes of perusing the digital aisles to make my 100 item grocery list. Once you have selected all of the items you want, you then select a pickup date and time to run by and grab your groceries. 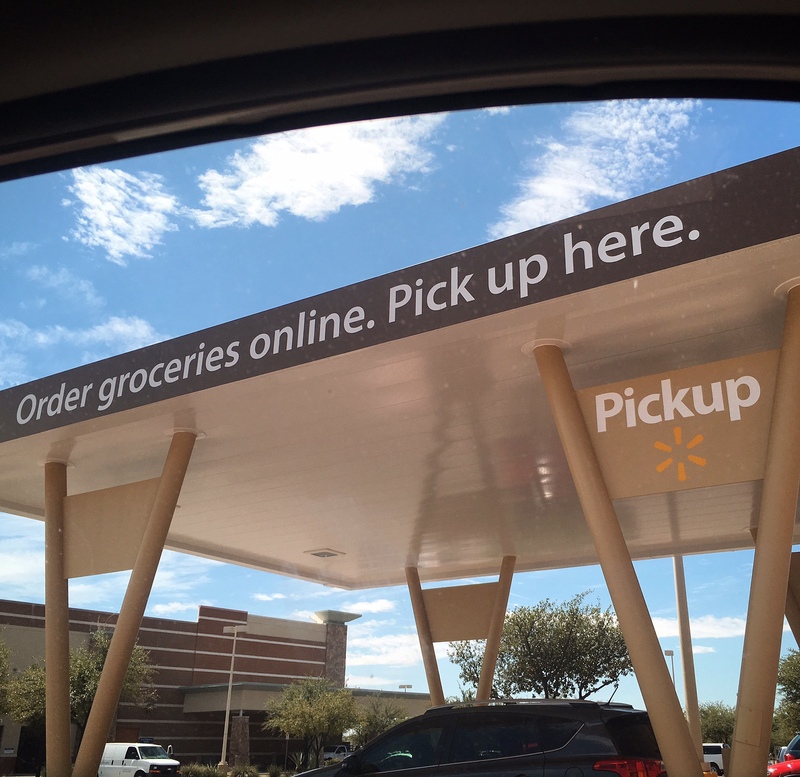 You prepay online, so when you show up to get your groceries, the friendly staff meet you at your designated parking spot (that’s right, you don’t even have to get out of your car! ), and start loading up your trunk for you! My kids stayed in their carseats, we enjoyed the air conditioning and radio and within 10 minutes we were on our way! It was so simple and probably my new favorite thing… EVER! I also love how once you have ordered items online, it saves your favorites and remembers them for future shopping! You Have to try it, click HERE to check it out and receive $10 off of your grocery bill! QUESTION: Is there anything you have fallen in love with recently?… Something you think I need to try and potentially add to next month’s Monthly MUST Haves?… Let me know! Thanks. A great list!! 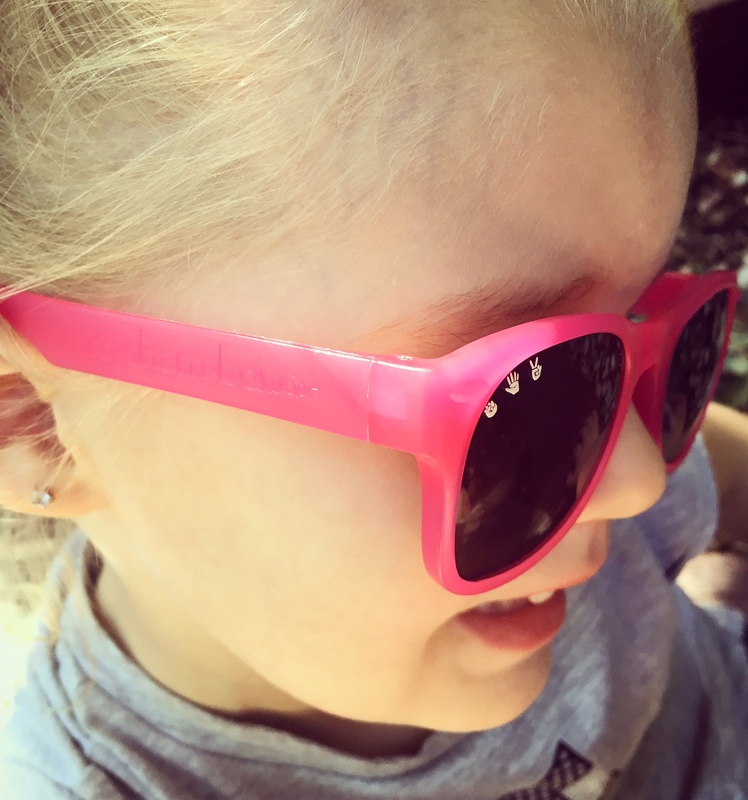 Those sunnies are adorable! 🎉 And hooray for Walmart pick up! Seriously, anything that helps #momlife is amazing! I just love her sweet little smile! THANK YOU CHELSEA! You are so sweet!